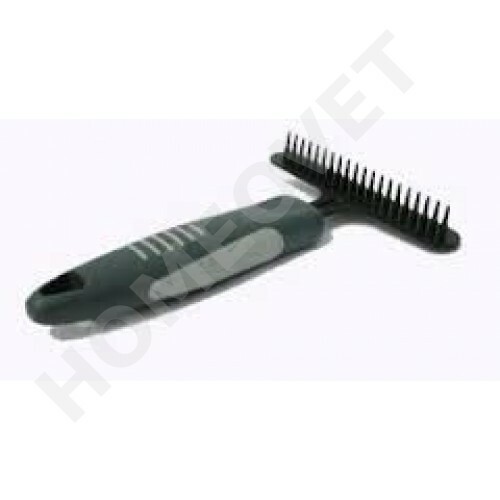 A shedding rake is very usefull for dogs with a loose undercoat . This shedding rake with a row of metal teeth will gently lift off shedding hair from the inner coat while leaving the outer coat untouched. Use it every day until all the dead hair is removed. For all breeds with undercoat; German Shepherd, Golden Retriever, Labrador, Husky, Scottish Collie etc.